Life is all about relationships! However, you have to be careful of the relationships you develop. We reflect those who we hang around. 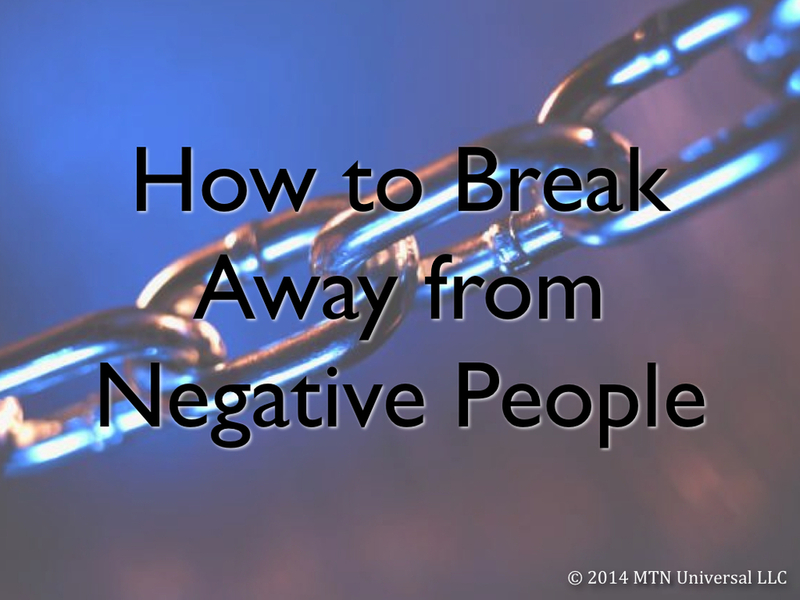 Today’s blog will discuss how to break away from negative people. One of the most important things when it comes to removing negative people in your life starts with you. We give permission for anything, positive or negative, to enter our life. Many times, we attract what we are. So, if we change who we are, we may end up changing the people that are around us. If you discover negativity still surrounding you after you have assessed yourself, look at the people and things around you. It may be that the negative people in your life are posing as loved ones. So, it will hard to discover these negative people in your life, unless you take time to assess the people around you. Once you have internally and externally assessed the source of your negativity, then the hardest part is removing the negativity from your life. Removing the negativity may mean distancing yourself from some “so-called” friends or “draining” family members. And sometimes, removing negativity means removing these people permanently from your life. It may be hard to break away from the negative people in your life, but it will make it easier if you think about how successful your life will be without them. Without negative people draining your positive energy, you will be left with more time to accomplish your dreams, goals, and aspirations. So what are you waiting on, go ahead and break away from the negative people in your life.